As pet owners, most of us view our four-legged friends as part of our family. We enjoy spending time with them, whether it is with your cat on the couch watching TV or taking your dog for a hike on the weekends. There is something special about time spent with a pet we love. As the weather is getting warmer, outings together become more frequent. 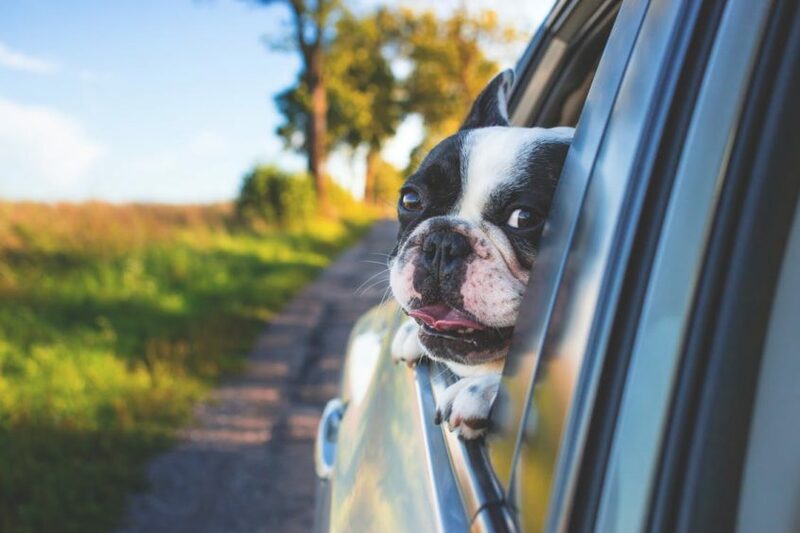 If you consider taking your pet for a ride this summer, you need to keep a few important facts in mind. 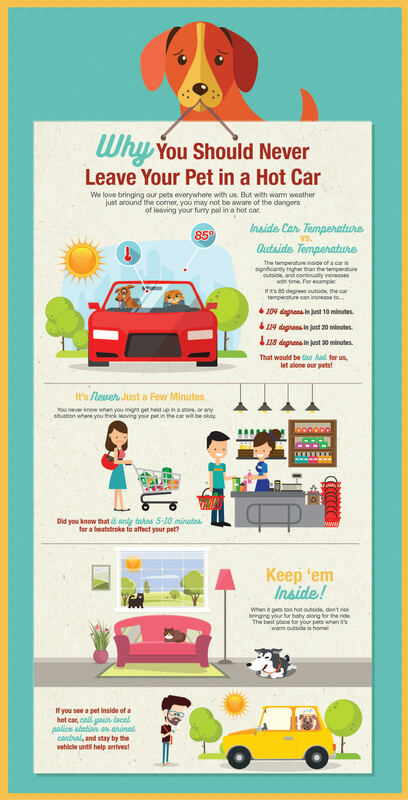 Even when it is only 85 degrees outside, it can get very hot inside the car – very quickly. It only takes approximately 10 minutes for the car to heat up to 104 degrees. That is too hot for people and too hot for animals. The store can be busier than you thought. It could be shift change at the checkout line. The person in front of you could only shop once a month and have two carts full. You could run into someone you haven’t seen since high school. You never know what will cause your time inside to go from a few minutes to longer. It only takes 5-10 minutes for a heat stroke to affect your pet. It is best just to keep them inside. People have a better ability to regulate their body temperature, and can remove themselves from conditions if things get too hot. Your pet can’t. Make the best decision for them and let them stay home if you may have to leave them for any reason. Also, you should never hesitate to call your local police station or animal control if you see a pet that has been left inside a car. Wait by the vehicle until help arrives. So, enjoy the time you spend with your furry family members. Take them for a ride when you can. Roll the windows down and let their ears flap in the wind, but never leave them in the car. You have to remember, they are animals after all and it is our responsibility as owners to always keep their best interests in mind. We would like to thank BMW of Annapolis for providing this great infographic on this very important topic.